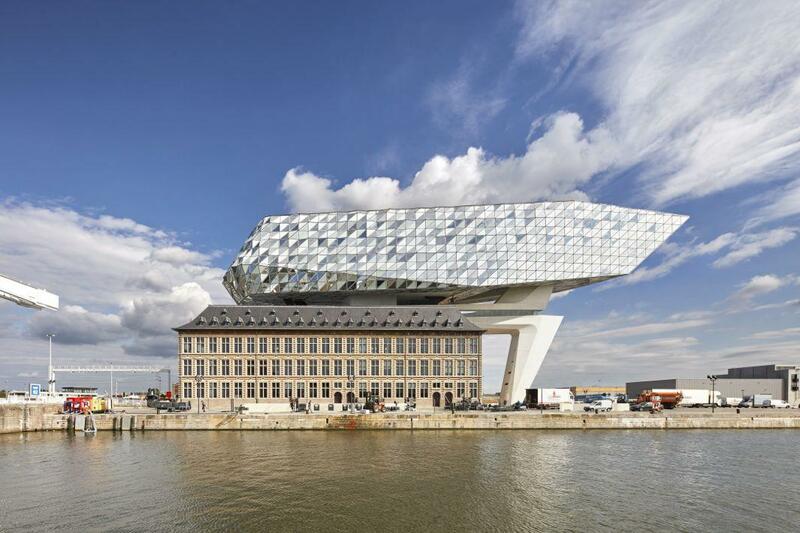 Zaha Hadid’s new Antwerp Port House looks like a giant spaceship. 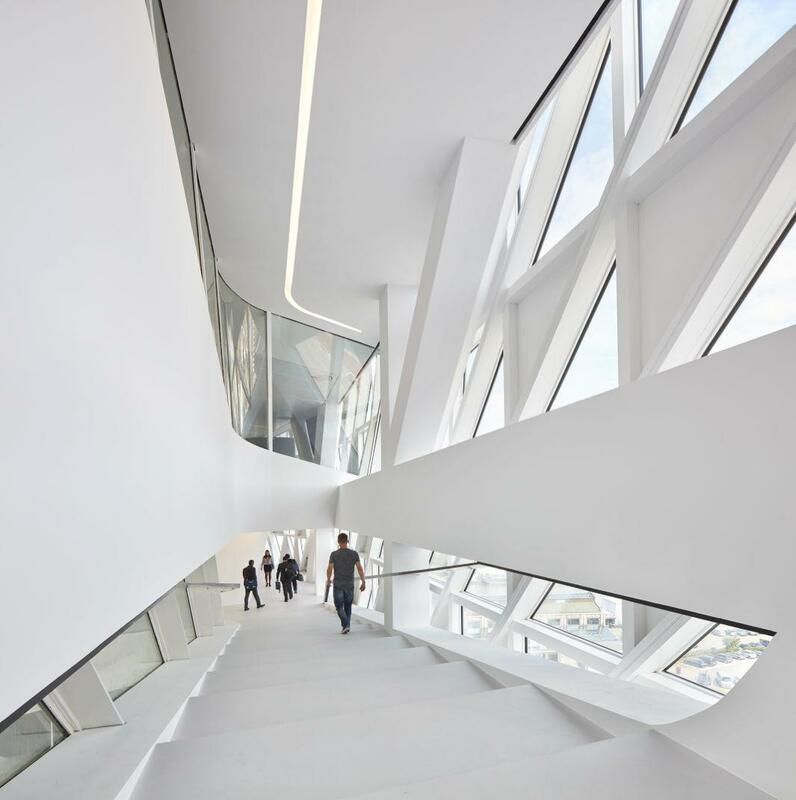 Since Zaha Hadid’s sudden death in March, the studio that bears her name has had its hands full finishing the prolific and trailblazing architect’s roster of some three-dozen works in progress. 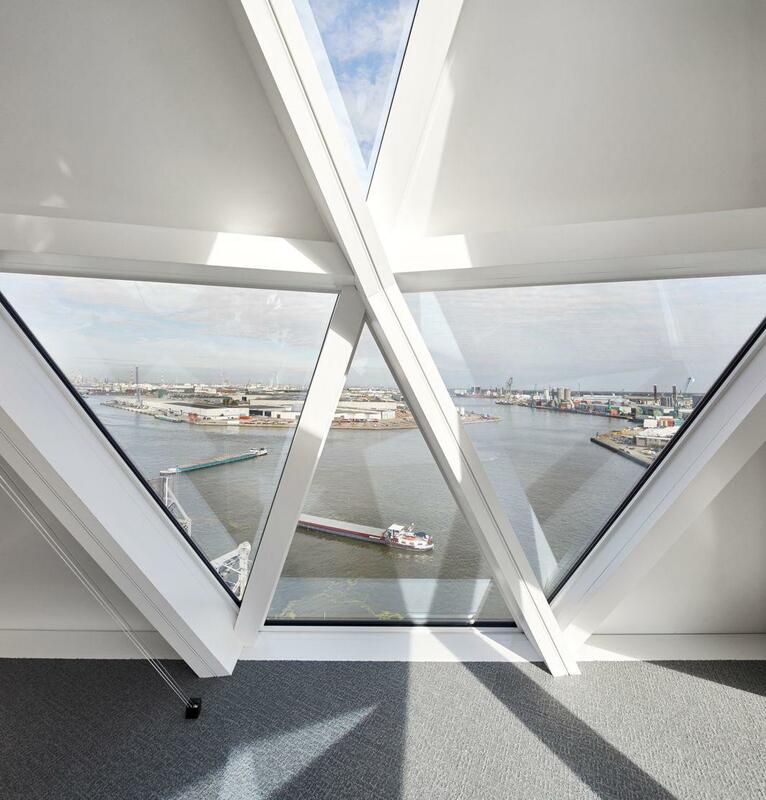 The latest is perhaps one of her most striking creations, the newly inaugurated Port House in Antwerp, Belgium—Europe’s second-largest port—built on the back of a former fire station. 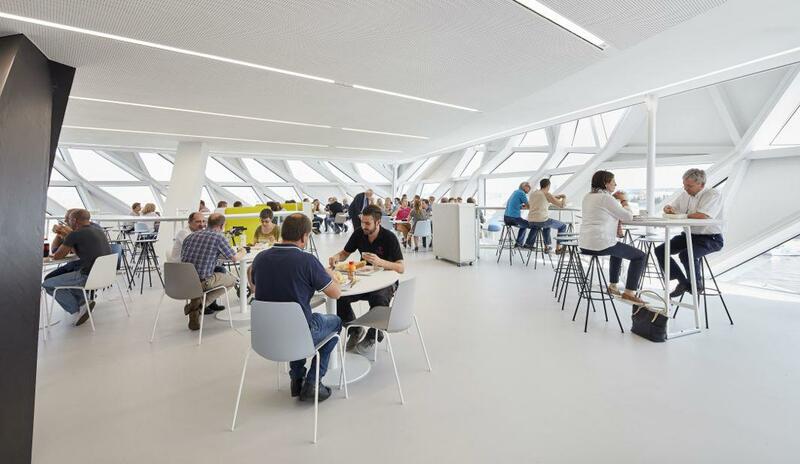 The new structure is a headquarters for the port and its staff of 500, who were previously scattered in offices throughout the city. 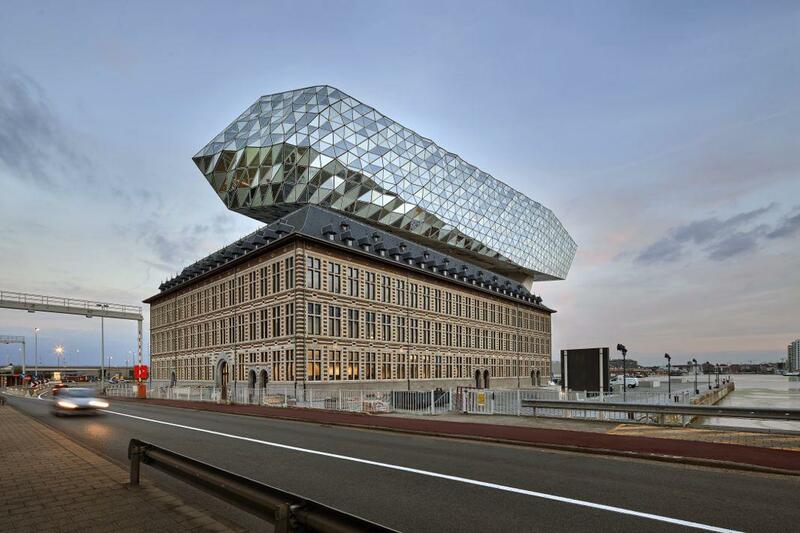 It goes without saying that the new Port House is daringly experimental, in-your-face architecture of the love-it or hate-it variety; it’s impossible to be indifferent to a building that looks like a giant spaceship, or an artist’s rendering of a meteorite, or some kind of futuristic riff on a giant barnacle. 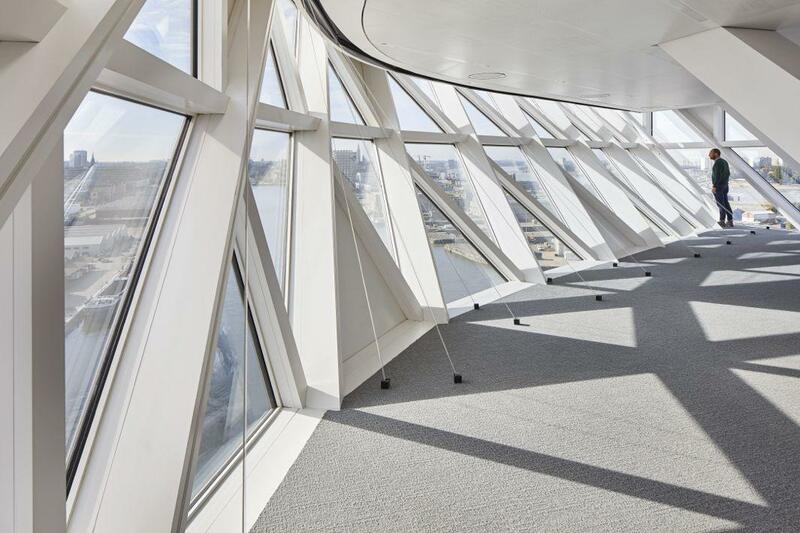 The hulking structure is lightened with the use of faceted alternately transparent and opaque triangular glazed glass to create a surface that “ripples like waves and reflects the changing tones and colours of the city’s sky,” ZHA said. 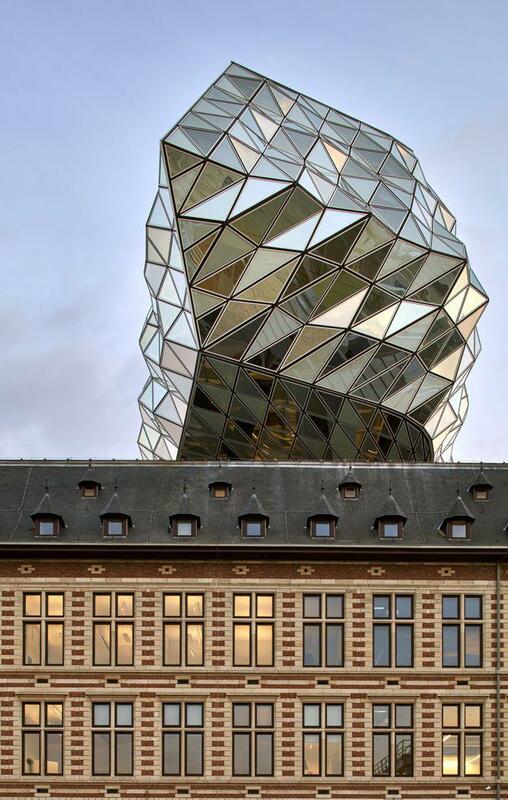 It manages to hover over the existing building like a spacecraft without obscuring it. The old fire station’s central courtyard is now the main reception area for the new Port House, enclosed with a glass roof. From there, visitors can access a historic public reading room and library that has been restored in the fire truck hall or access the new extension with its open-plan office space, restaurant, meeting rooms, and auditorium. 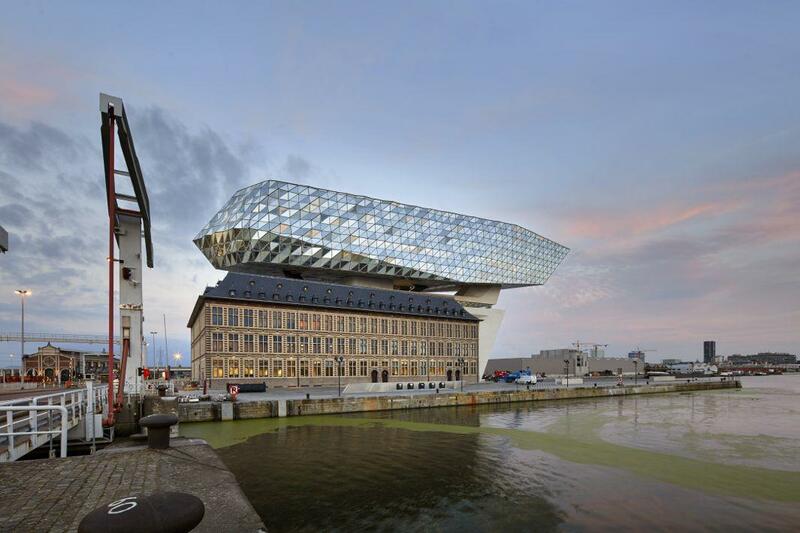 While the new Port House might look too otherworldly to cohabitate with its surroundings, ZHA said that the design is the result of “detailed historical research and a thorough analysis of both the site and the existing building,” adding that it had conceived of an emblematic structure that references its location, built to last as the port continues to expand in future generations.